Porbandar comes lauded as the birthplace of Mahatma Gandhi, the Father of the Nation. This picturesque seaside town in Gujarat was called Sudamapuri, after Sudama, a compatriot of Lord Krishna. An important centre of trade with the African world in ancient India, Porbandar should be visited for enjoying the seashore and honouring Gandhi by visiting his birthplace. Best time to visit Porbandar is from November to March. Kirti Mandir is a memorial to Mahatma Gandhi and was built in 1950. Located adjacent is the ancestral house of Gandhi where was born on 2nd October, 1969. It is open from 7.30am to 7pm. Jawahralal Nehru Planetarium also called Tara Mandir in Porbanar should be visited for a celestial trip of the scientific kind. The planetarium has regular astronomical shows in Gujarati and English. It is open from 9.30 am to 7. 00 pm. Located in the middle of the Porbanadar town, Sudama Mandir is visited by large number of devotees. Dedicated to Sudama, the childhood friend of Krishna, the shrine is one of the most famous attractions of Porbandr. 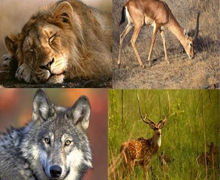 14 Km from Porbandar, Barda Lion Sanctuary attracts wildlife lovers and naturalists. Occupying an area of 200 sq km, the park is a natural habitat for the lion, panther, wild boar, spotted deer, neelgai, sambar and monkeys. The best season to visit the Barda Lion Sanctuary is between November and March. 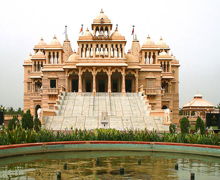 30 km from Porbandar on the way to Dwarka is located the Harshidhhi Mata Temple. The shrine sits on the top of the Koyala hill near Miani at an elevation of 3000 feet. The devotees have to take a steep climb of 500 steps to have a darshan of the deity. 28 km from Porbandar, Mul-Dwarka is associated with Lord Krishna who is said to have spent some part of his at this place while coming from Mathura to Dwarka. 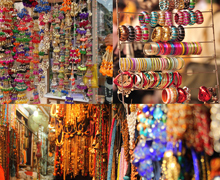 A temple dedicated to Lord Krishna plays host to a huge fair organized on Janmashtmi day every year. 35 km from Porbandar, Bhuleshwar is famous for the ruins of a temple. Held on the last day of Sravana month every year, the fair attracts thousands of devotees who throng here to visit the shrine. By Air: The Porbandar Airport is located 6 km away from the city centre and is connected with various cities in India. Private taxis can be hired to reach the city centre. By Rail: Belonging to the Western Railways, the Porbandar railway terminus is directly connected with different cities including Ahmedabad, Mumbai. Delhi, Kolkata and Chennai, Hyderabad. By Road: Regular State run transport buses connect Porbandar with major cities and places including Ahmedabad, Junagadh, Dwarka, Rajkot, Bhavnagar, Jamnagar, Somnath and Bhuj. Some of the places and cities connected with Porbandar are Somnath (118 Km), Ahmedabad (394 Km). Bhavnagar (300 Km). Junagadh (107 Km) and Rajkot (178 Km). If one is visiting on a budget and looking for a cheap hotel or if one wants to enjoy the comforts of a luxury hotel with wonderful service, Porbandar can offer accommodation options to suit their taste. Hotel Flamingo, Hotel Kuber, Hotel Moon Palace, New Oceanic Hotel, Hotel Sheetal , Hotel Indraprastha, Hotel Anil Mangal Guest House, Nilam Guest House, Hotel Natraj, Nilesh Guest House; Hotel Paradise and Hotel Rupalee are some of the famous accommodation options available in Porbandar.